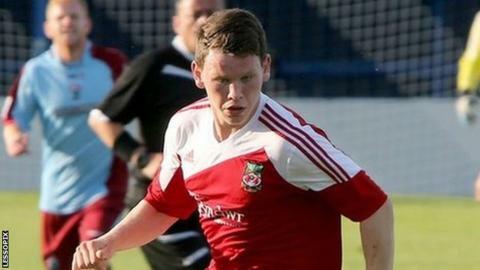 Connor Jennings' 25-yard strike earned Wrexham an FA Cup fourth qualifying round replay against Macclesfield. Waide Fairhurst's deflected first-half goal gave the Silkmen the lead before Jennings levelled on 66 minutes. Macclesfield came closest to finding a winner at Moss Rose when Paul Lewis headed onto the post shortly before full-time. Both sides go into Monday's draw for the FA Cup first round proper before they meet at the Racecourse on Tuesday. Wrexham boss Kevin Wilkin said of Connor Jennings' equaliser: "It was a terrific strike, the folk here have seen what he can do. "We had the best chances. We need to score more than one goal. "It was a little bit disappointing but credit to the lads they kept going."